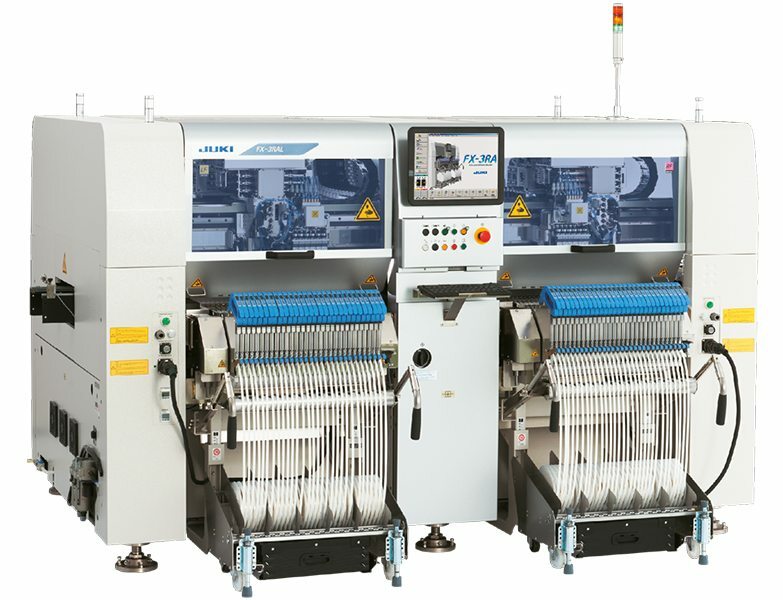 JUKI’s KE-3000 offers high-speed flexible placement meeting various demands in SMT production. 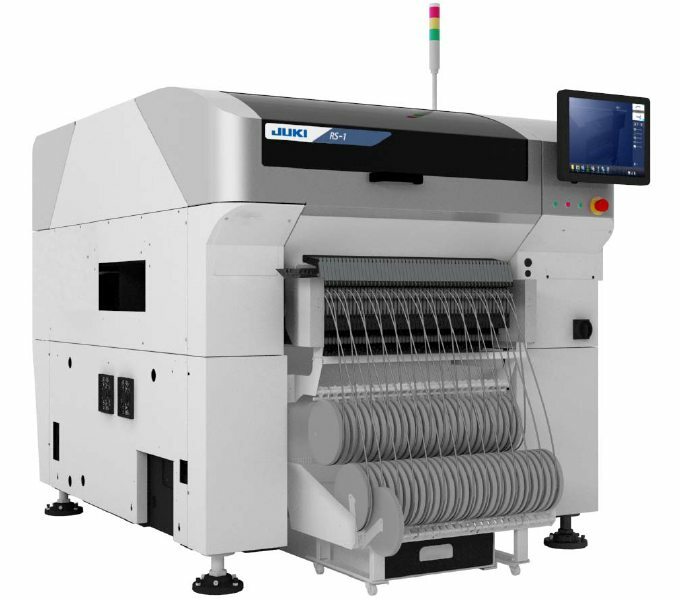 JUKI’s KE-3010 Speed Mounter takes on the job of placement from ultra-small components while JUKIs KE-3020 is called in to action regarding placement with large and odd-shaped components. 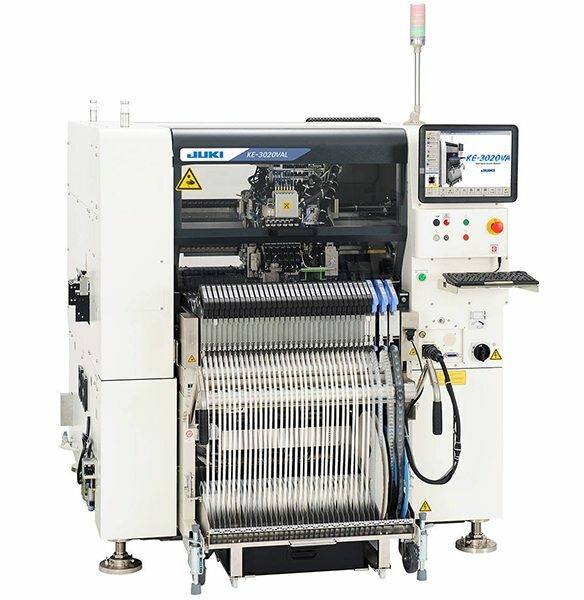 Both machines can be equipped with mechanical and electronic feeders and are available with the options Intelligent Feeder System and Traceability. 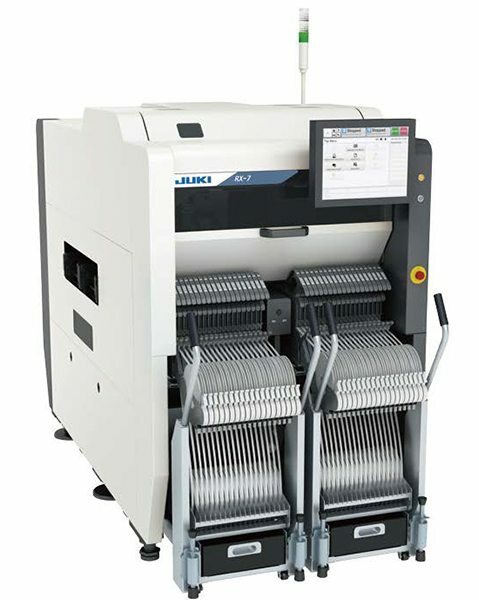 JUKI’s FX-3 stands for ultrafast, precise placement of micro-components on printed circuit boards.  It is the perfect solution for companies wanting to process large volumes. Among the strong points of the FX-3 are short retooling times thanks to quick-change feeder banks as well as minimal maintenance. The user-friendly touchscreen interface plus the powerful optimisation software provide additional ease of use. 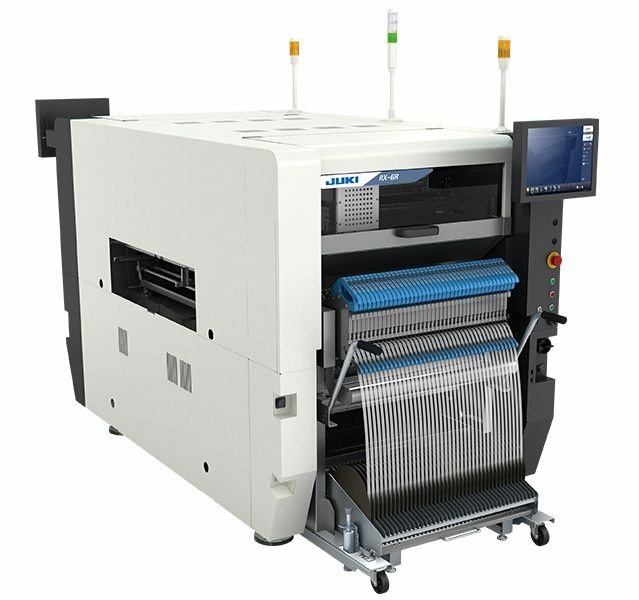 JUKI’s JX-350 offers high flexibility and quality presented in a compact design while maintaining an attractive low price. 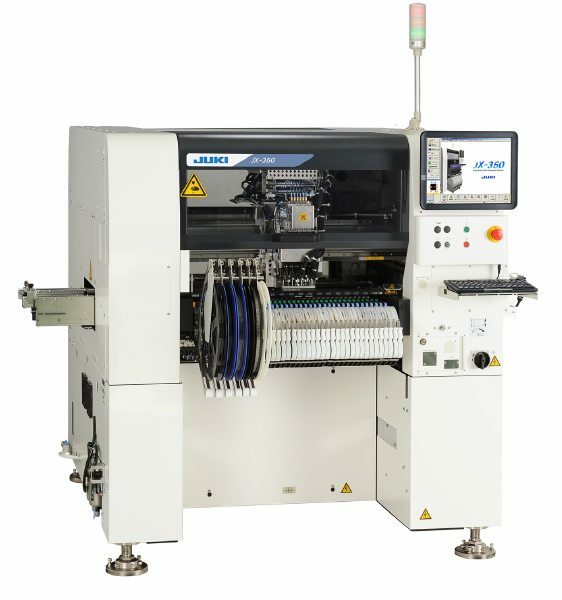 This model handles long printed circuit boards up to 1.50 meter and is especially suitable for cost-efficient LED assemblage. On top of that the incorporated laser technology enables a highly accurate placement of diffusion lenses due to the recognition technology which identifies the main orientation of the lense.